OXFORD, Miss. – One of the most cataclysmic events to occur in the cosmos involves the collision of two black holes. Formed from the deathly collapse of massive stars, black holes are incredibly compact – a person standing near a stellar-mass black hole would feel gravity about a trillion times more strongly than they would on Earth. When two objects of this extreme density spiral together and merge, a fairly common occurrence in space, they radiate more power than all the stars in the universe. 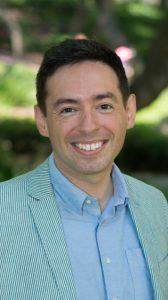 In a new study in the Jan. 11 issue of the journal Physical Review Letters, Varma and his colleagues – including Leo Stein, assistant professor of physics and astronomy at the University of Mississippi – report the most accurate computer model yet of the end stage of black hole mergers, a period when a new, more massive black hole has formed. The model, which was aided by supercomputers and machine-learning, or artificial intelligence tools, will ultimately help physicists perform more precise tests of Einstein’s general theory of relativity. “Einstein replaced our understanding of gravity with the new idea that space and time themselves are curved,” Stein said. “The greatest curvature in the universe happens when two black holes merge. For more on Stein’s work and advice for aspiring physicists, check out this Q&A with him. The research is related to a larger effort to study black holes with the Laser Interferometer Gravitational-wave Observatory, known as LIGO, which made history in 2015 by making the first direct detection of gravitational waves emitted by a black hole merger. 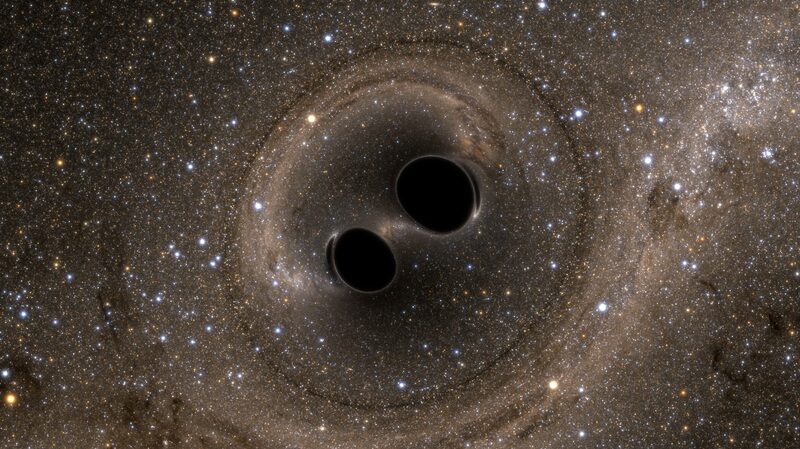 Since then, LIGO has detected nine additional black hole mergers. Gravitational waves are ripples in space and time, first predicted by Einstein more than 100 years ago. Gravity itself, according to general relativity, is a warping of the fabric of space-time. When massive objects such as black holes accelerate through space-time, they generate gravitational waves. One of the goals of LIGO and the thousands of scientists analyzing its data is to better understand the physics of black hole collisions and to use these data, in turn, to assess whether Einstein’s general theory of relativity still holds true under these extreme conditions. A breakdown of the theory might open the door to new types of physics not yet imagined. But creating models of colossal events such as black hole collisions has proven to be a daunting task. As the colliding black holes become very close to each another, just seconds before the final merger, their gravitational fields and velocities become extreme and the math becomes far too complex for standard analytical approaches. That is where supercomputers help out. The team took advantage of nearly 900 black hole merger simulations previously run by the Simulating eXtreme Spacetimes group using the Wheeler supercomputer at Caltech (supported by the Sherman Fairchild Foundation) and the Blue Waters supercomputer at the National Center for Supercomputing Applications at the University of Illinois at Urbana-Champaign. The simulations took the equivalent of 20,000 hours of computing time. The Caltech scientists’ new machine-learning program, or algorithm, learned from the simulations and helped create the final model. The researchers say that their model will be of particular importance in a few years, as LIGO and other next-generation gravitational-wave detectors become more and more precise in their measurements. The Physical Review Letters study, titled “High-accuracy mass, spin, and recoil predictions of generic black-hole merger remnants,” was funded by the Sherman Fairchild Foundation, the National Science Foundation, NASA, the Brinson Foundation, and Caltech. Authors include Stein, who earned his bachelor’s degree at Caltech and is a former postdoctoral scholar there; François Hébert, a postdoctoral scholar at Caltech; and Hao Zhang of the University of Pennsylvania and a former summer undergraduate research fellow at Caltech.